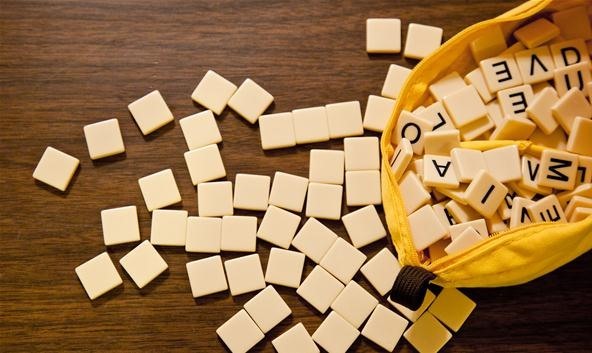 For those who don't have the patience for Scrabble, there's another word game out there that better suits you—Bananagrams. 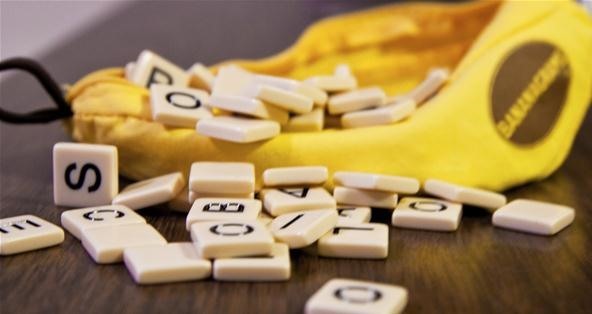 Even if you're in love with Scrabble, Bananagrams is worth a try because it's all about speed. Plus, it's easy to play. I usually use Bananagrams as a pregame warmup for Scrabble, to get the brain juices flowing. There's no board to get into the way, no score pad to distract you from building words, and the layout structure is very similar to Scrabble, where you build words from left to right horizontally, and top to bottom vertically. To get started, just grab the banana-shaped pouch of letters and dump all 144 of them on an empty table face down. Each player draws a set number of letter tiles, which is as follows (though it could really be anything you want). Once everyone has their tiles, the game begins when someone says "SPLIT". 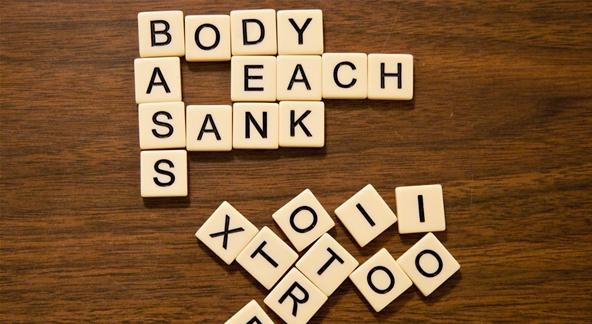 You then turns the tiles over and form words in crossword fashion, connecting them together until you've used all your letters. Afterwards, you yell "PEEL" and you and your opponents draw another face down letter from the "BUNCH" and try to incorporate them into your Bananagram. If at anytime you get stuck with difficult-to-use letter, you can "DUMP" it back into the bunch, but you must take three letters back instead of one. When there are less letters in the bunch than there are total players, and you've completed your Bananagram, scream "BANANAS" and you've just won the game, unless somebody beat you to it. 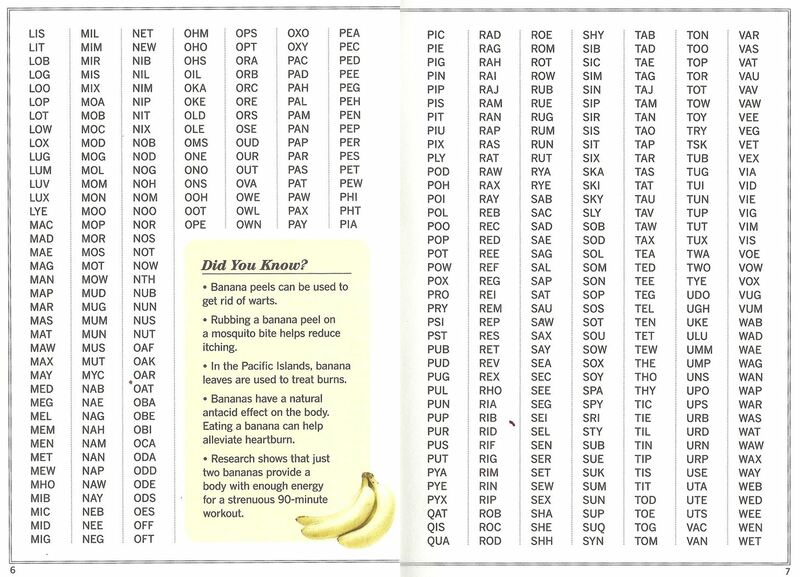 The rest of the players then inspect your Bananagram for legitimacy (no proper nouns, acronyms, abbreviations, or hyphenated words, just like in Scrabble). If you have illegal words, you're now a "ROTTEN BANANA" and you must return all of you letters face down into the bunch area, so that the rest of the players can use them to finish the game and determine the real winner. For those of you who didn't feel like reading all of the above instructions, check out the video. That's the basics of the gameplay. But it's highly customizable. I never play using two-letter words, because it's then too easy. And to speed up the game, try drawing multiple tiles during a "peel" instead of just one. Also, during the so-called last peel of the game, if there are less letters than there are players, those who finish there crossword before the others must each take one of the remaining letters, until the bunch is extinguished. Think of it as a penalty for being fast. That's the beauty of the game. You can do whatever you want. The rules are much more flexible than Scrabble, and it's all about who you're playing and how fast you want to play. There are additional games in the rules called Banana Smoothie, Banana Café, and Banana Solitaire (for lonesome play), but really... you can design any game you want. 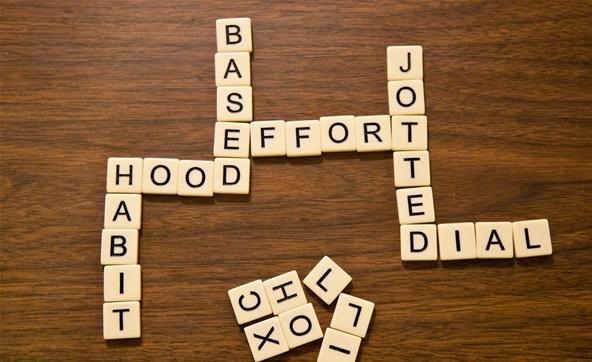 But no matter if you're playing the classic Bananagrams or one of the alternative or homespun versions, the basic gameplay of building words still exists, so here are a few tips to help you be the first one done—and done right. In order to decide if the winner is actually the winner, you need to agree on a dictionary. You could simply use a majority vote system where the opposing players decide your fate on any suspicious words, voting yae or nae. But for the sake of this article, you should be using a dictionary, just as you would in Scrabble. Obviously, a Scrabble-specific dictionary or word list is preferred. If you live in North America, use The Official Scrabble Players Dictionary, Fourth Edition (OSPD4) or the Official Tournament and Word List, Second Edition (OWL2). If outside of North America, you should use the Collins Official Scrabble Words, Third Edition (CSW3 or CSW2012). Like I said before, I'm not much for playing two-letter words in Bananagrams. If you decide you do want to play with them, make sure to memorize all of the 101 acceptable two-letter words (124 outside of North America). Check out my article on mastering the two-letter words, which lists every words, with inflections and definitions. You can also see the 101 words listed in the next step. If you want to test your abilities, try my two-letter word challenge. Yes, there's more words to memorize. 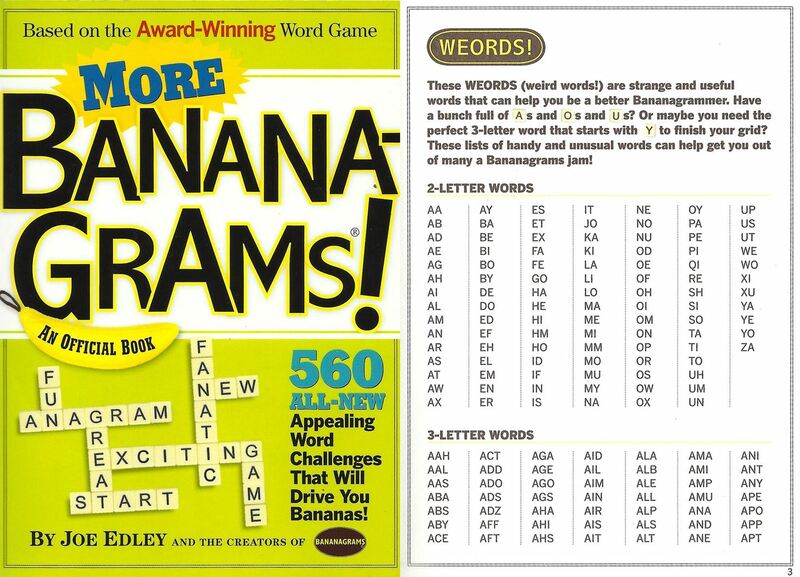 There are great puzzle books out there that can help you memorize all of the playable words in Bananagrams (which mirrors Scrabble), published by Workman, and written by none other than Joe Edley, three-time winner of the National Scrabble Championship. 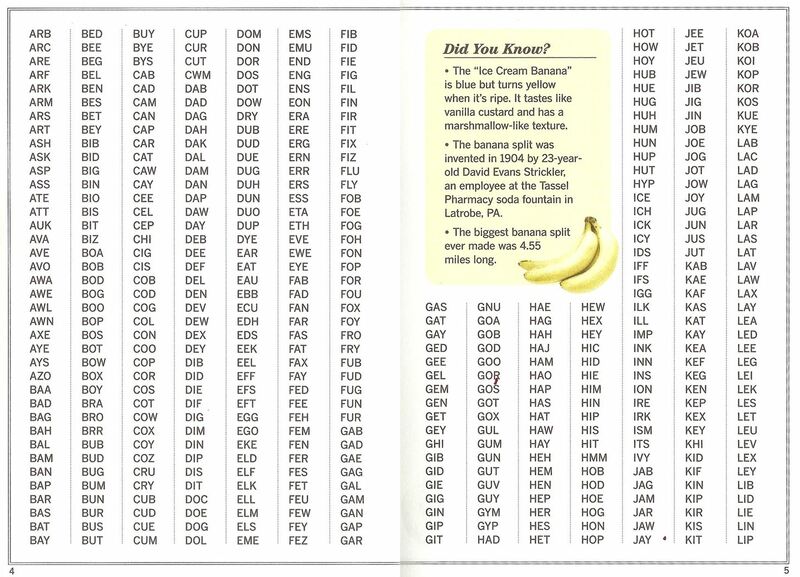 Below is an excerpt from his More Bananagrams! 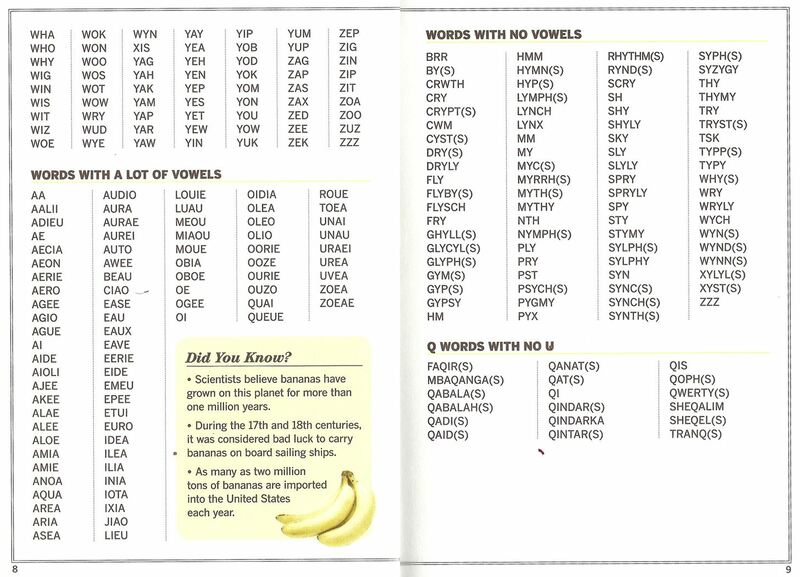 puzzle book (a really fun and helpful book, along with the first one, Bananagrams! ), which highlights all 101 two-letter words, as well as the three-letter words, some vowel heavy ones, those without vowels, and the notorious Q without U word list. (1) Click on image to enlarge. (2) Click on image to enlarge. (3) Click on image to enlarge. (4) Click on image to enlarge. If you want to see the three-letter words organized differently, check out Bananagrammers' article on good ones to use, sorted by rareness. 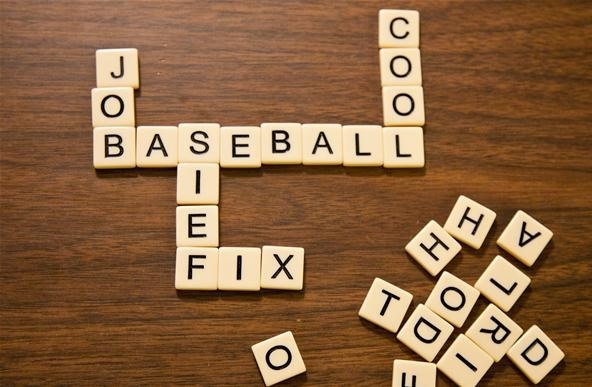 At the beginning of the game, the first word should be a long one—the biggest one you can muster up. Why? So you have a good base to build off of. If you put down a three-letter word first, you've only got three letters to build onto, but if you put down an eight-letter word, you've got lots of room to maneuver. In a game of Scrabble, exchanging letters is a last chance affair, something you do when you have no other choice. But in Bananagrams, dumping one of your hard-to-use letters is pointless, because chances are someone else will yell "PEEL" very soon and you'll have to draw yet another letter on top of the three you just had to pick up for that one you put back. Make sure to utilize "hooks" as much as possible. Add an S to a word on the table already and form another word perpendicular off of it. It opens open the playing field significantly. And letter can be a hook though, not just esses. Don't force anything. If you're stuck with a bad letter or group of letters, don't be afraid to tear up your current Bananagram a little to rearrange some words and make sure there's a place for all of the letters you have. Sure, it may waste some time, but if you're quick at building words in the game, it shouldn't drag you down. But if you see that one of your opponents is almost done, wait until they say "PEEL" so you can see if the next batch of letters will help you out, without having to rearrange your crossword. Bananagrams is a game of speed, and if you double guess yourself, you've just wasted unnecessary time. Go with your gut and make the move the comes to mind first. You may just surprise yourself.